Most visitors to Penang are familiar with historic Georgetown on the northeast tip of Pulau Pinang, but there is more to Penang than its heritage architecture. When speaking of Penang it can refer to Georgetown, the island of Penang, or the state of Penang, which includes the island and strip of land on the peninsula. Apart from the huge tourism business that Georgetown brings, Penang is also an industrial and IT centre, and it’s positioning itself to become the Silicon Valley of the East. Penang is also a popular location for retirees with the Malaysia My Second Home program. 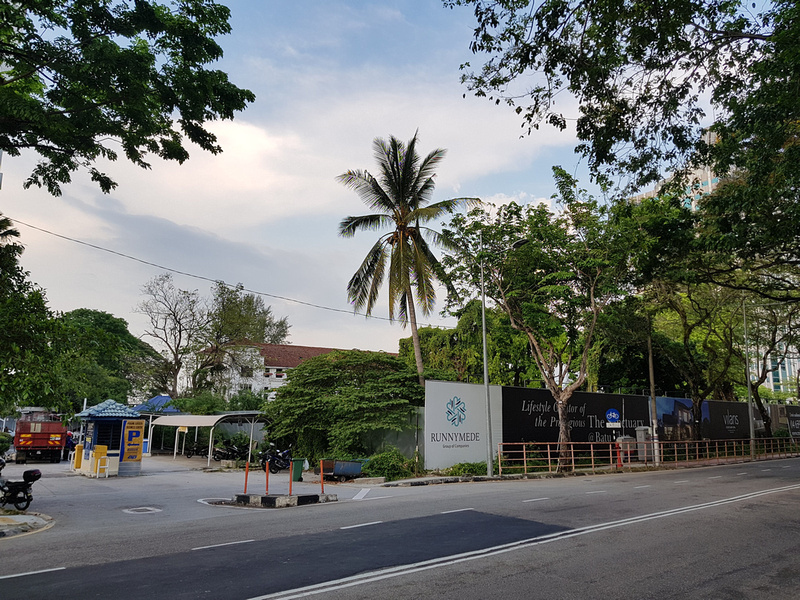 This post covers developments across the island and mainland Penang, and it excludes projects going on in the UNESCO World Heritage area of Georgetown. As developments in historic Georgetown are mainly limited to restoration projects, that will be the subject for another post. I will also be updating this post as new developments are announced. Lets start with a good news story. Sia Boey Market is currently a ruin and for years there was doubt about its future. The market is on Prangin Road, which forms the southern boundary of the UNESCO World Heritage area. It’s on the other side of the road so it doesn’t have UNESCO protection. The old shophouses are in such bad shape that they looked like they would be left to rot. Thankfully the site has been saved from demolition, and it will be restored into a repurposed shopping and recreation area. 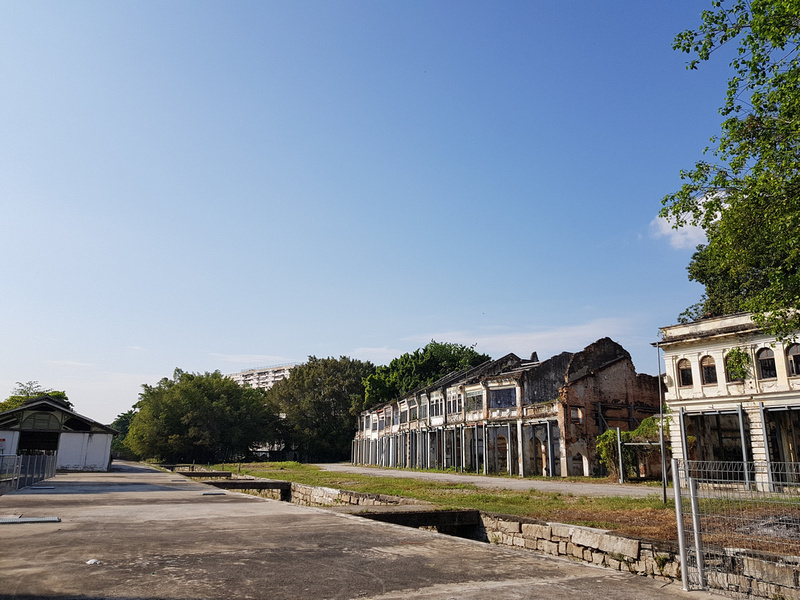 The first phase of the development will see the restoration of the Prangin canal, and phase two will include the construction of a new market area from the remains of the shophouses. The site was supposed to include an LRT terminal, so we’ll wait and see how that is incorporated into the plan. 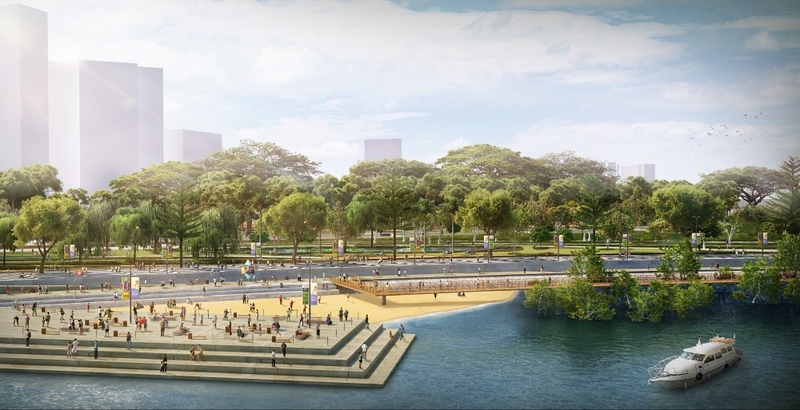 Gurney Wharf is a seafront public park that is being built from a reclaimed tidal mudflat off Gurney Drive. The park is somewhat inspired by Gardens by the Bay in Singapore, which was also fashioned from reclaimed land. The park is expected to be completed in 2018, and the Seaside Retail Food and Beverage (F&B) Precinct by by 2020. 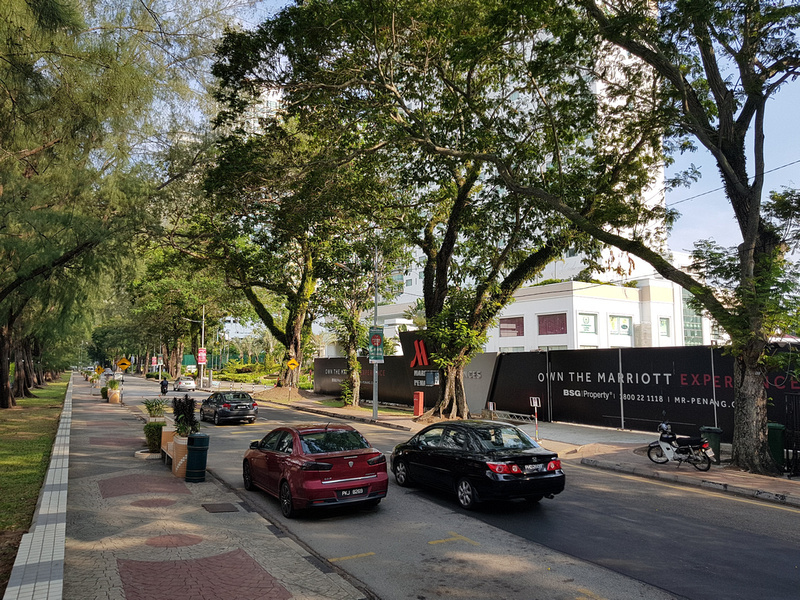 Construction is underway for the Marriott Residences Penang on Gurney Drive, next to Evergreen Laurel Hotel. 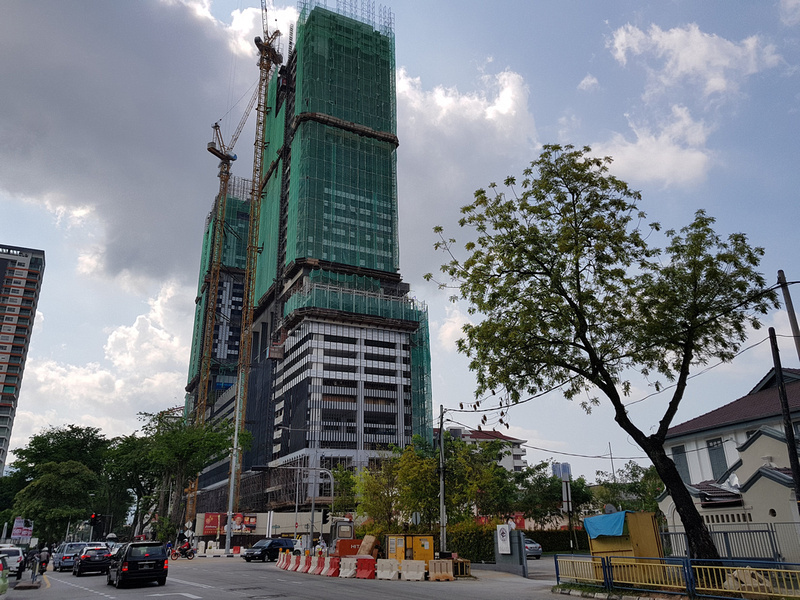 This 55-storey skyscraper will have a hotel and apartments, and at 190 metres it will be one of the biggest towers in Penang. There have been several proposals over the years for some form of rail transit system, with plans for a light rail, monorail, and trams. 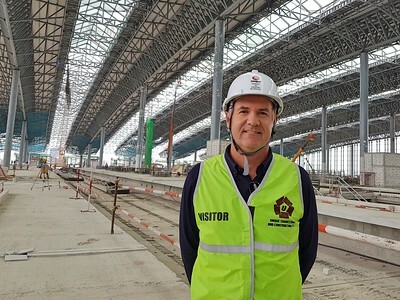 It appears that the first project to get started will be the Bayan Lepas LRT, which will connect the airport to KOMTAR (at the edge of the historic Georgetown area). 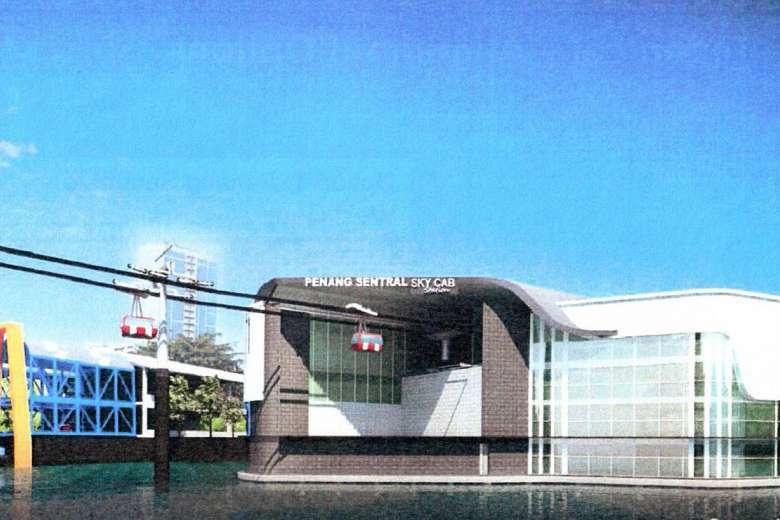 Another public transport proposal that has been floating around for a while is the Penang Sky Cab. This is a cable car that would connect Butterworth to Georgetown. Initial reports had the alignment similar to the current passenger ferry. Later proposals have it connecting to The Light LRT station. It’s still mentioned on the government transport site, but at this stage it will probably be a “never built” project. Address: Northam Road (Jalan Sultan Ahmad Shah), George Town. Runnymede Bay is a proposed multi-building project in Georgetown, on the coast to the west of the UNESCO buffer zone. The original plan included a 61-storey apartment block (211 metres), a hotel, commercial and office space, along side restored historic buildings. This site has been controversial as a historic building has already been demolished. It’s outside the UNESCO area, so it doesn’t have the same level of heritage protection. 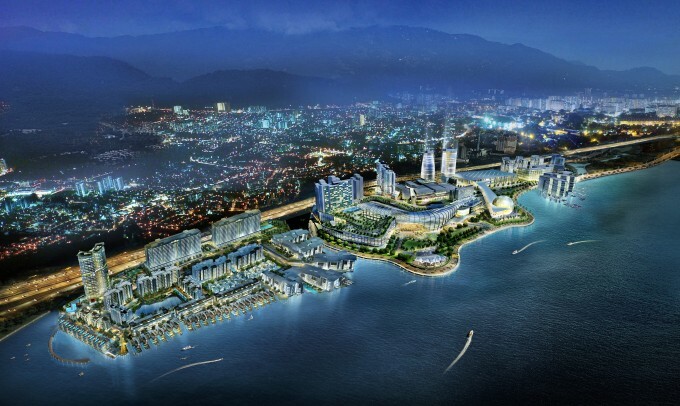 The Light Waterfront is a mega development covering 152-acres of seafront property near the Penang Bridge. This mini city will feature residential, business, retail properties, a marina, and parkland. The plan has changed from the original design, and doesn’t look as ambitious as the first plan. By the looks of the latest render it will change again when the last phase is released. 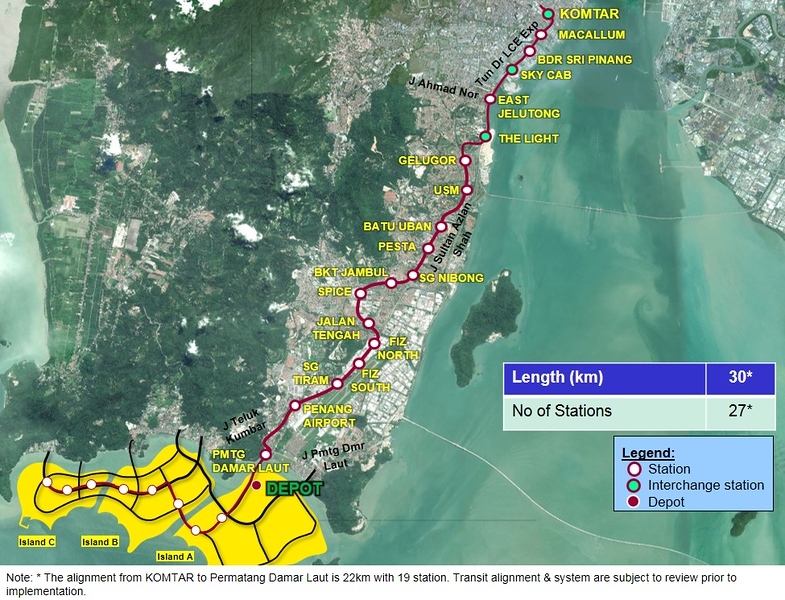 Penang Sentral will be the new tranport hub in Butterworth, becoming the main transportation hub for the state of Penang, and a much improved gateway to the island of Penang. Transferring between buses, trains, and ferries at Butterworth is a total mess, so this should making connection much easier. Eventually this project will include retail and residential developments, resembling the malls and apartments built around KL Sentral. 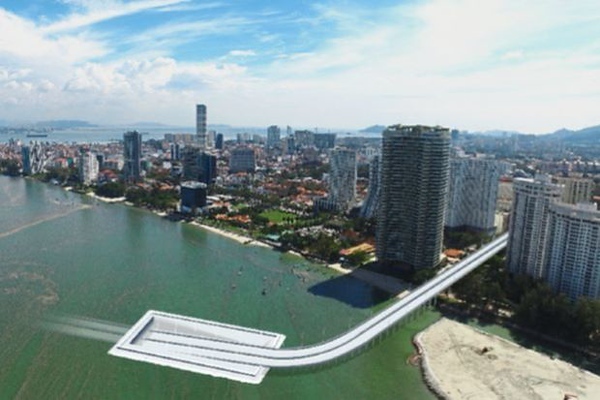 The Penang Undersea Tunnel is a proposal that would connect Butterworth on the peninsula to the northern coast of the island near Gurney Drive. The 7.2 km tunnel has been mired in controversy that has delayed construction. There are concerns of the traffic exiting in an already congested area, and a corruption scandal regarding funding has also put the project in doubt. Address: Corner 16, Jalan Anson and Jalan Macalister, George Town, Penang. 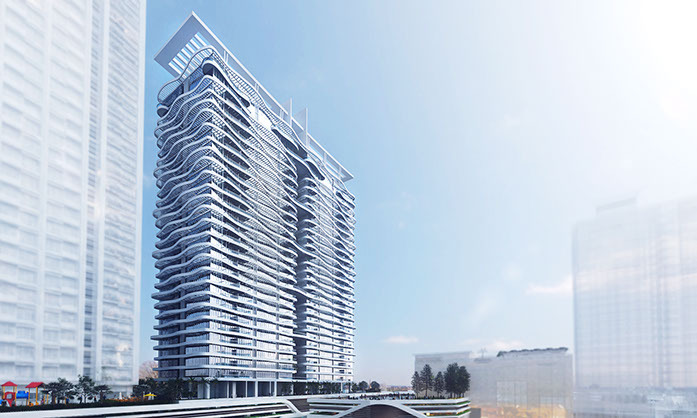 Tropicana 218 Macalister is a 2-tower residential, hotel, and retail development on Macalister Road. While the Gurney Wharf is well under way on the north coast, in the south a massive land reclamation project is planned. 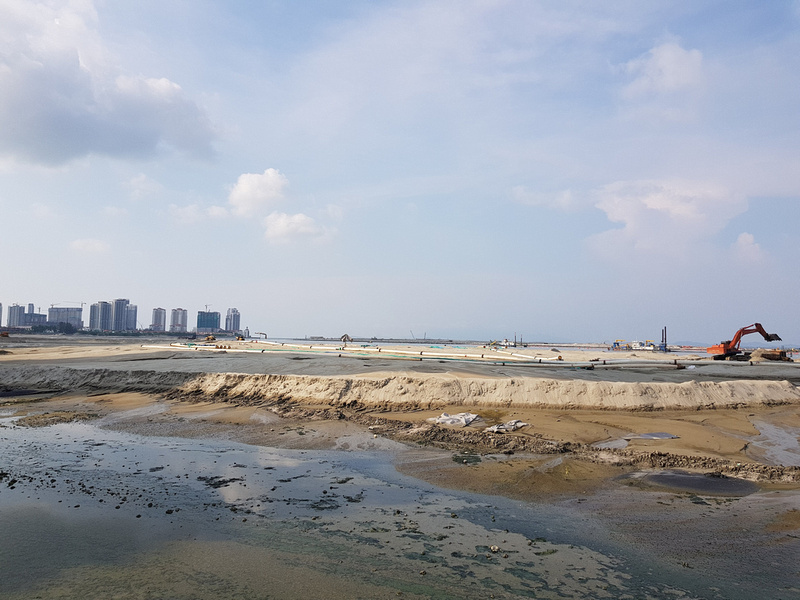 The reclaimed land would consist of three islands along the southern coast which would all be connected by the proposed LRT. The land use would be a mix of residential, commercial, and open space, with an industrial area underneath the airport flight path. Address: Jalan Paya Terubong, Air Itam. 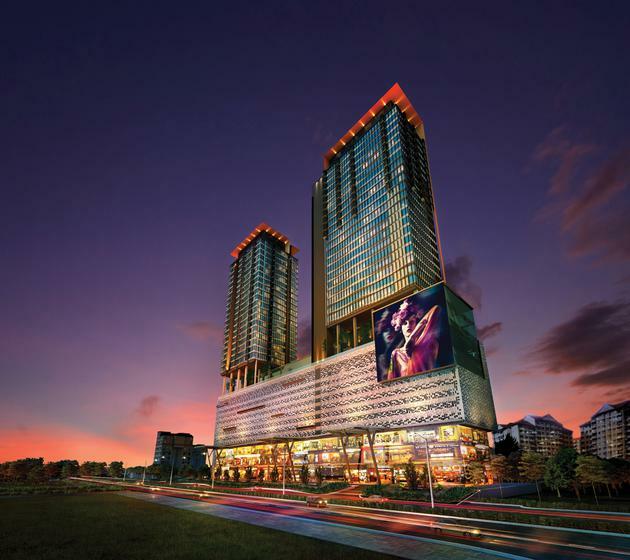 Sunway Valley City is a “mixed-development project, spanning over a 9.7-ha site, is divided into four phases, comprising shop offices, serviced apartments, a shopping mall, an educational institute (Sunway College), an office tower and a medical centre.” [thestar.com.my.] The site is on the former Lee Rubber Factory, to the south of Air Itam. 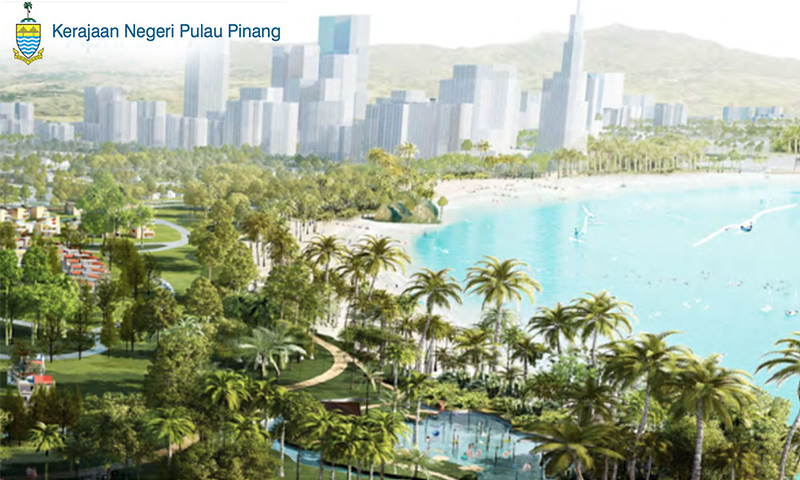 The One (Penang Cyber City) was proposed in 2007 and has gone through design variations since then. 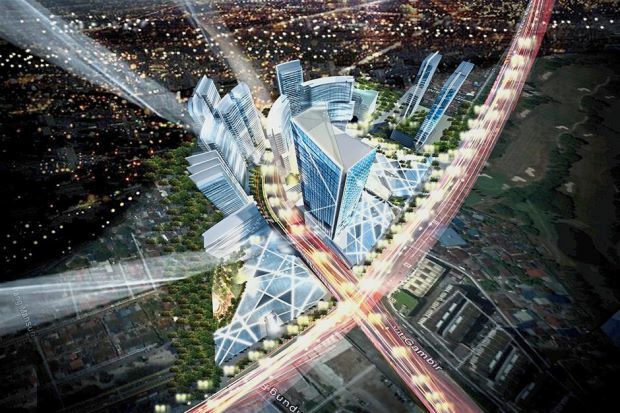 It’s located at Bayan Lepas (near the airport), which was touted to become a world-class IT hub. 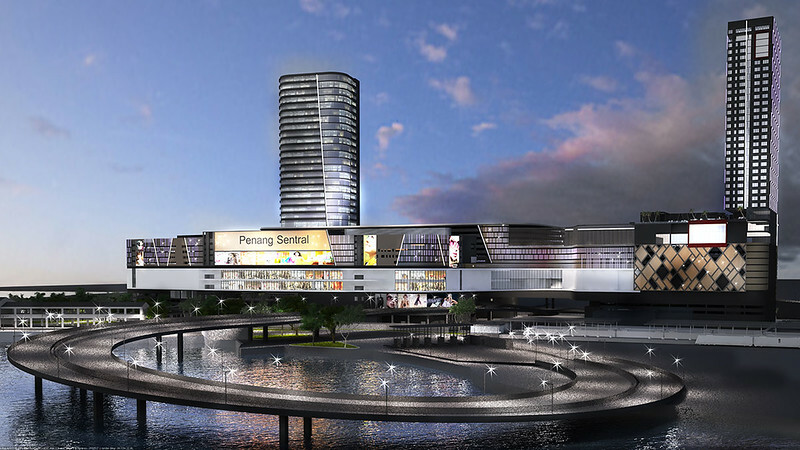 Penang International Commercial City (PICC) is a proposed mixed development project of apartments, commercial, retail, hotels, and a medical centre. This development was proposed by Hunza Properties, though it doesn’t appear on their website so it maybe stalled/never built. Address: Jalan Dato’ Keramat, George Town, Penang. 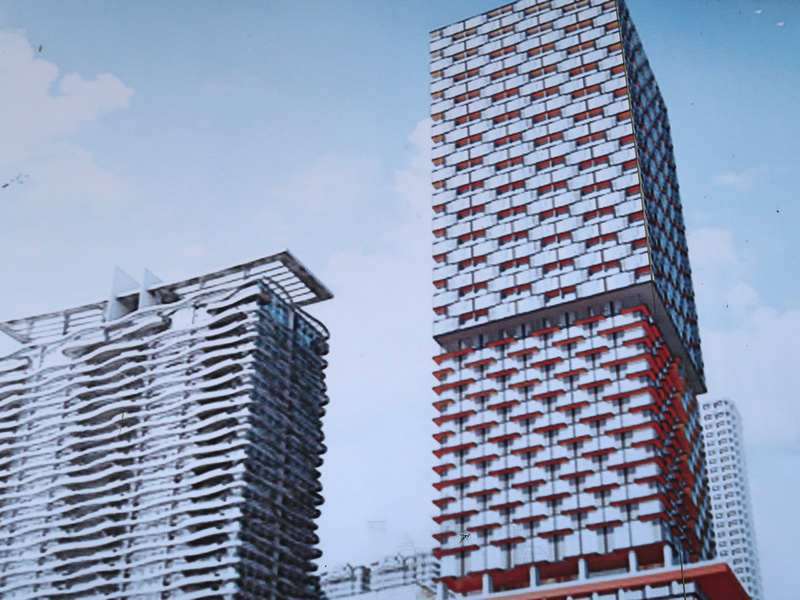 This distinctive apartment tower is next to Penang Times Square, not far from KOMTAR. This 38 floor tower will will be a mix of apartments and retail, and should be finished by 2020. Address: Penang Times Square, George Town, Penang. 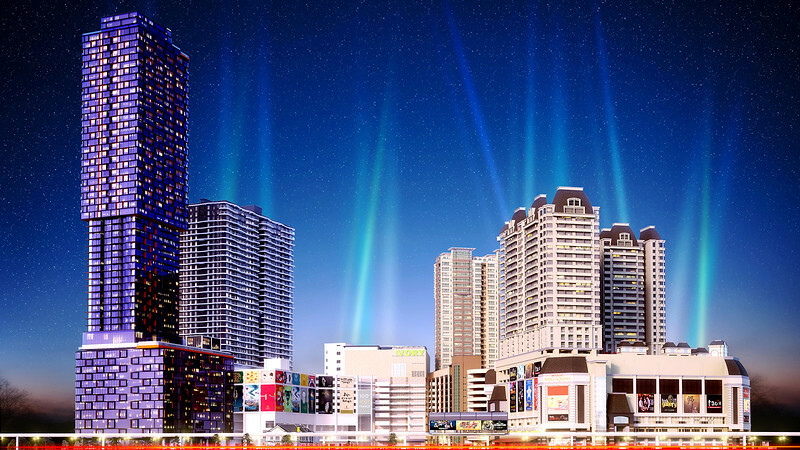 Next to The Wave is The Central, which is phase 4 the Penang Times Square development. 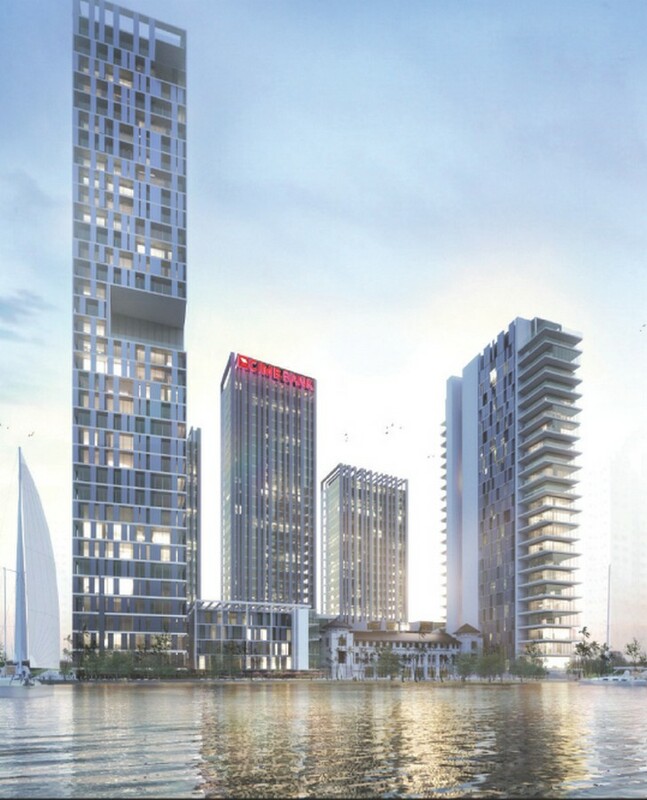 The tower will be approximately 150 metres and have 654 apartments. Address: Seri Tanjung Pinang, Tanjung Tokong, Pulau Pinang, Malaysia. 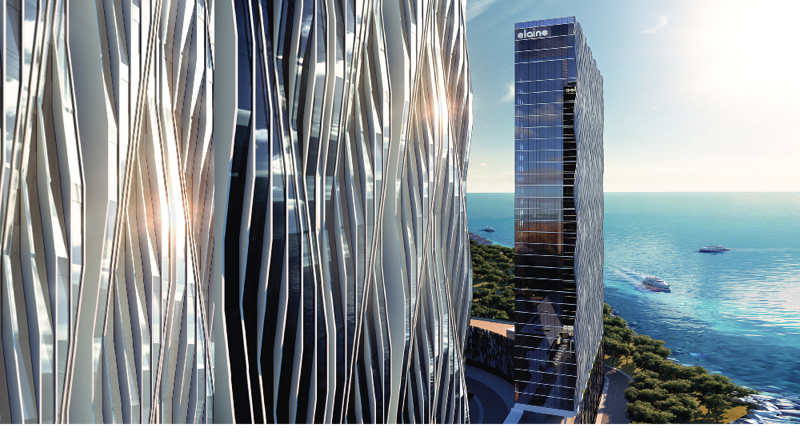 City of Dreams is a luxury apartment development featuring two 40-storey towers named Elaine and Chloe. 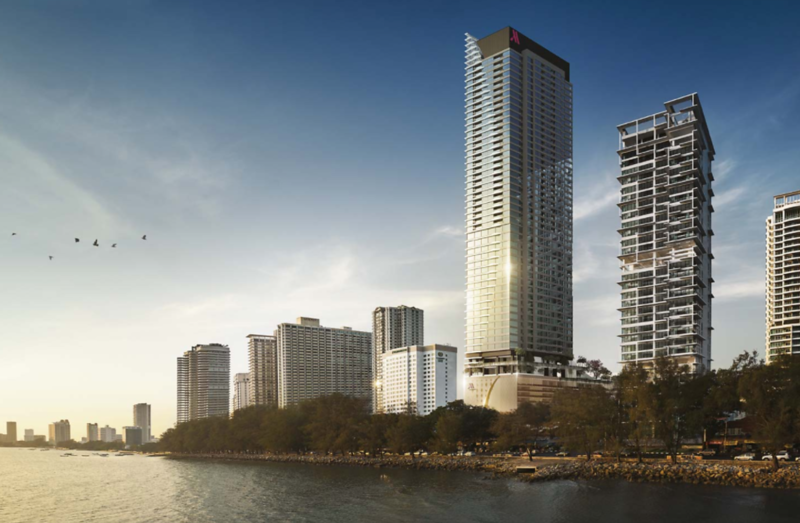 The property is on the waterfront at Tanjung Tokong, facing the skyline of Gurney Drive.